Looking for a 24 hour Anaheim locksmith? Are you locked out of your car? Lost your house keys? Have you just moved to Anaheim, CA, and need to change door locks? Whether you are in a locksmith emergency or interested in installing high security technologies in your home or office, you can rely on Green Locksmith Anaheim. Call us 24/7 (714) 660-7786! 24 Hour Reliable Locksmith Services in Anaheim, CA! For complete Locksmith Anaheim lock & key needs: key replacement, re keying, unlock door, lock picking, and more! Thinking about increasing your home security? If you are located in or around Anaheim, CA, you can count on Green Locksmith Anaheim to provide reliable and swift 24 hour locksmith care. Certified and experienced technicians can handle a wide array of services, including transponder key programming, CCTV installation, exit/entry device installation, and more! Call (714) 660-7786 and a certified locksmith will be there in just 30 minutes! All locksmiths are fully licensed, insured by the BSIS. We offer competitive pricing on all lock and key services. Home security and family safety are our top priorities! A technician will run a risk assessment of your home and help guide you on ways to improve your home security. When it comes to car theft, our technicians are equally rigorous and thorough in their inspection and services. If you are a commercial business with offices that need an easy, but effective security system, Green Locksmith Anaheim and partners can provide CCTV surveillance installation, wireless alarm system installation, and more! Simply need cabinet locks for the office? Not a problem. Call today at (714) 660-7786 to see if there are any special offers or deals for businesses. The Green Locksmith Anaheim team specializes in CCTV (Closed Circuit Television) installation and security equipment installation. Are you looking for a high quality video surveillance system? 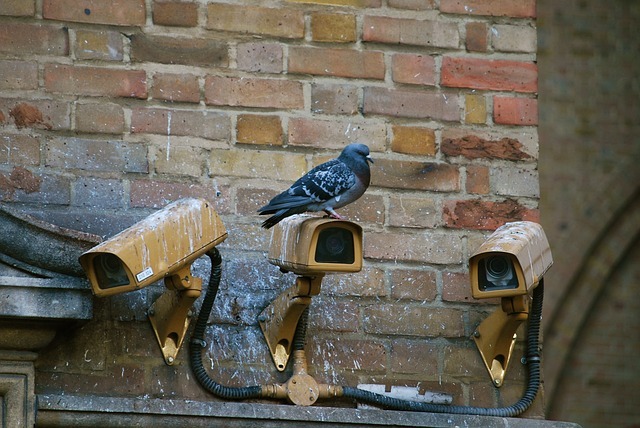 Want to improve your home security or get a quote for camera surveillance for your business? We have CCTV installers on our team who have expertise in wireless CCTV, home surveillance systems, and security surveillance camera set-up. Green Locksmith Anaheim is dedicated to your safety and security. Call us today for a free estimate of CCTV installation! These days, technology is quickly progressing and it’s important to keep up with the latest security trends. If you have recently purchased a new car, chances are you use a transponder key (or “chip key”) to start the car. Losing these keys can be an expensive and frustrating experience. Green Locksmith Anaheim understands your situation and is prepared with the most up to date sophisticated programming tools and technologies to provide 24 hour on-the-spot transponder key programming. No need for an auto tow. No need to go to the dealer. You can count on the qualified technicians of Green Locksmith to get your car started at a lower price and lower level of frustration and anxiety! Check out our Anaheim car locksmith services. So if you need lock key replacements, high security lock and key services, open car services, auto lock rekey, car unlock options, car locks replacements, re key locks and lock replacement for commercial and residential properties, Green Locksmith and associates are the professional locksmith service you have been looking for. Green Locksmith – Consider us your all-around locksmith and security provider!